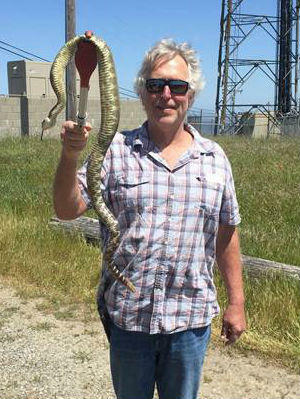 Larry Stratton, KRCB's Chief Operations Officer, shows off a 4-foot rattler captured by Al Wolfe recently at the KRCB television transmitter site on Sonoma Moutain. 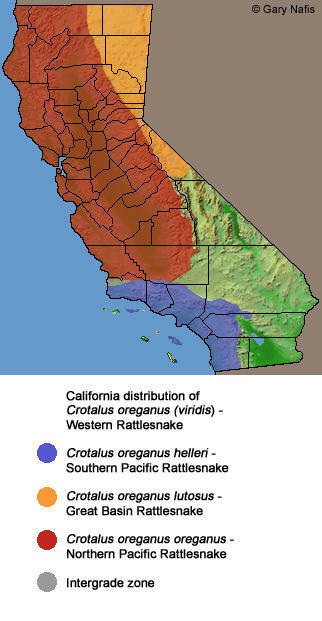 The Northern Pacific rattlesnake is the most commonly found variety in California, with a large range as shown in this map. 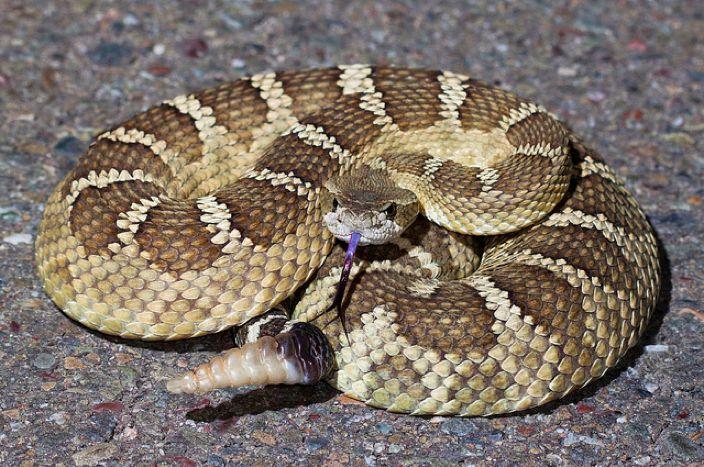 Rattlesnakes and gopher snakes are often confused, but Al Wolfe, Founder and Director of Sonoma County Reptile Rescue, explains that the poisonous rattler can be readily distinguished if you know what to look for. In a lifetime of snake handling, North Bay native Wolfe has been bitten on 13 separate occasions. But he recalls that one early time was doubly painful.